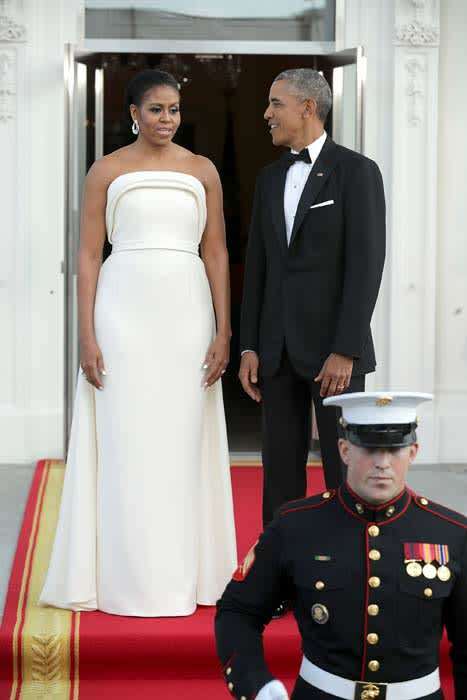 Barack Obama gives Michelle's latest look his seal of approval | HELLO! August 03, 2016 - 15:09 BST hellomagazine.com We'd be giving our thumbs up too! Barack Obama is one lucky man – and he knows it! 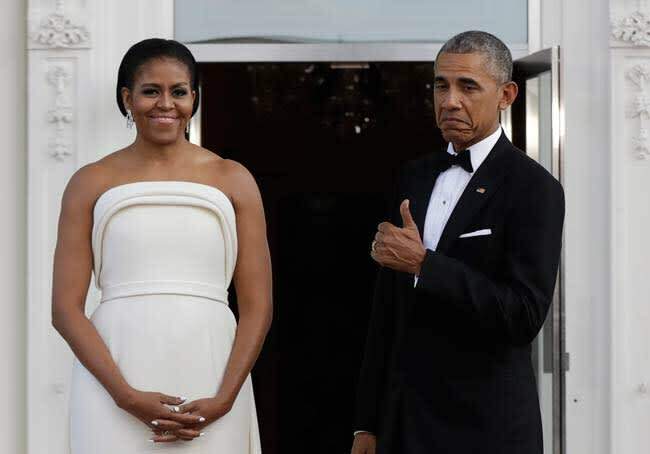 Stepping out for a state dinner on Tuesday night, President Obama showed his appreciation for his beautiful wife Michelle by giving waiting photographers a big thumbs up.